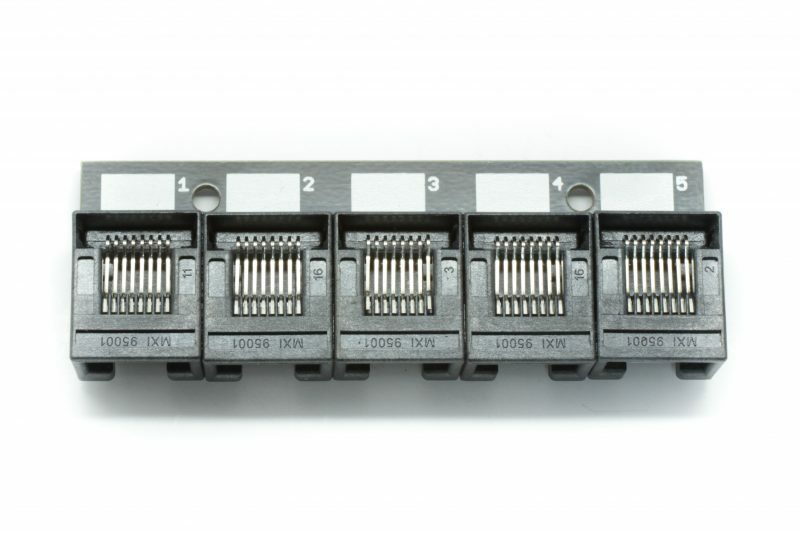 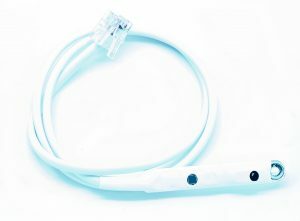 A simple 1-Wire Passive 5-Port HUB with five RJ-45 sockets connected in parallel on a small board with two 3 mm mounting holes, black soldermask and white numbered labels. 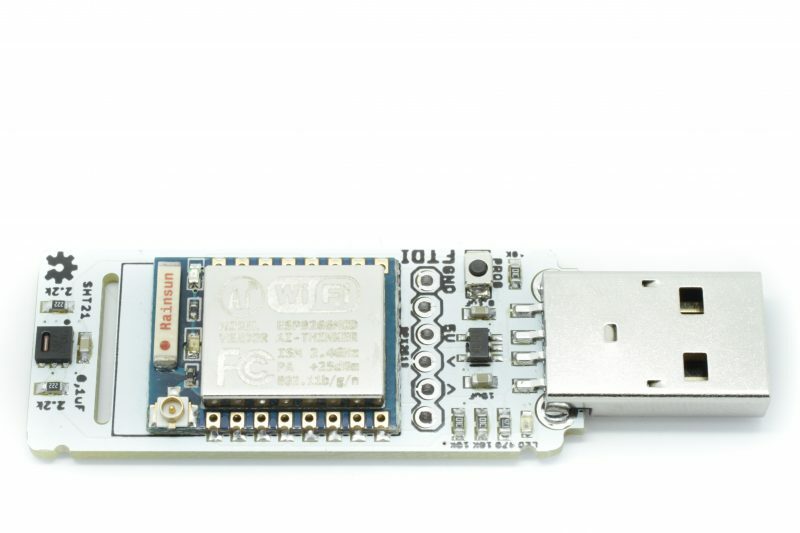 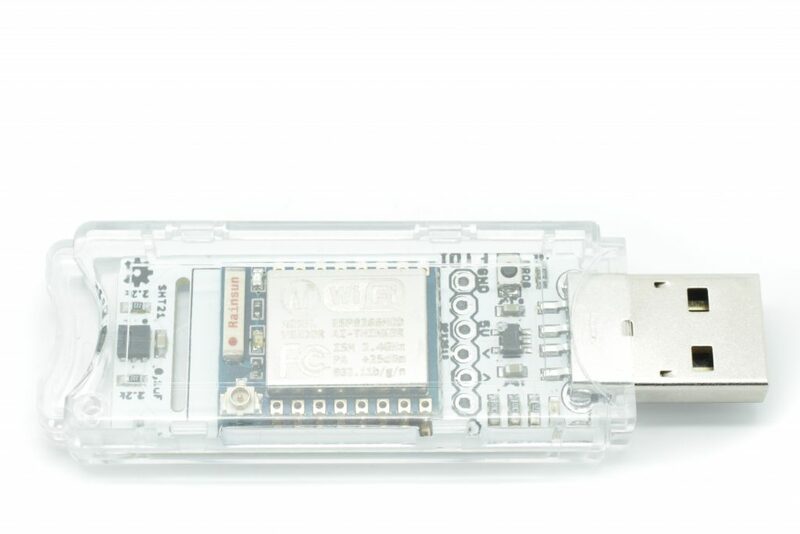 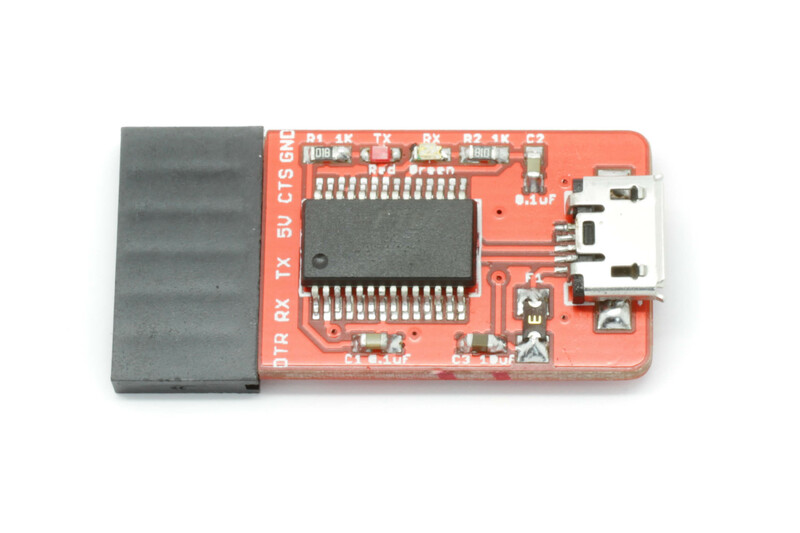 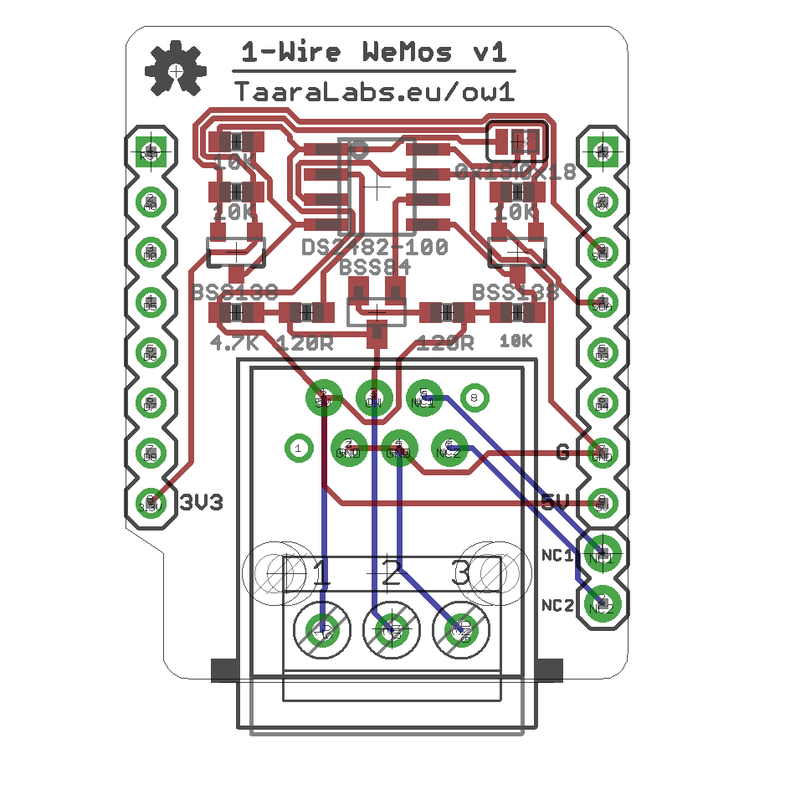 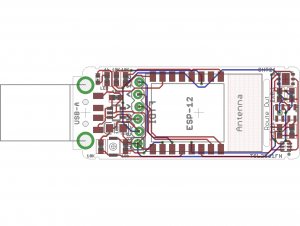 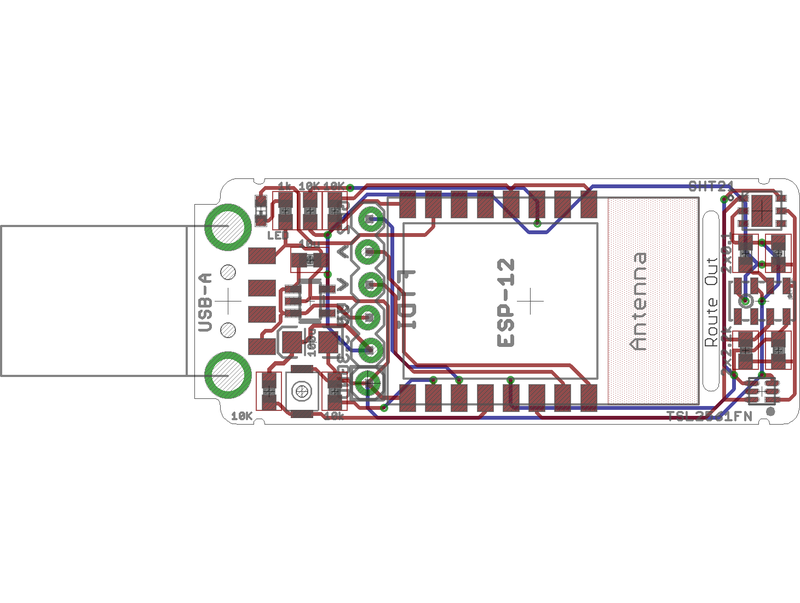 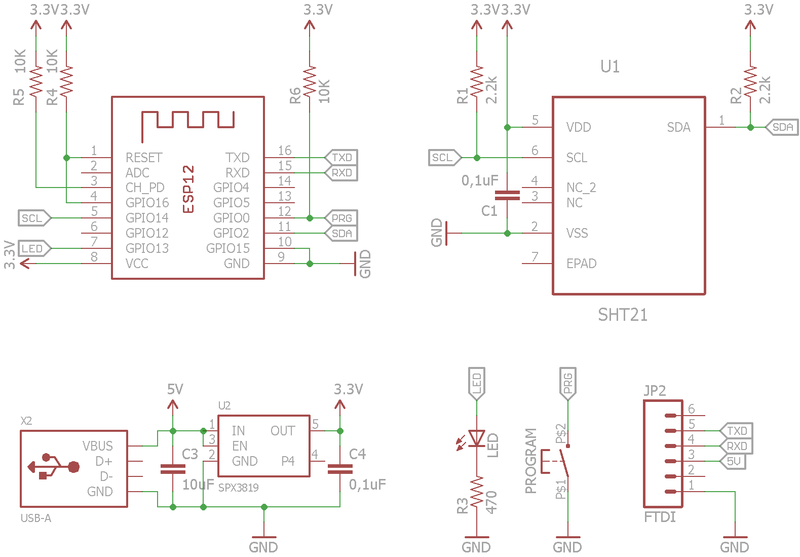 Simple M-Bus to 3.3V UART level converter for 1..3 M-Bus slave devices. 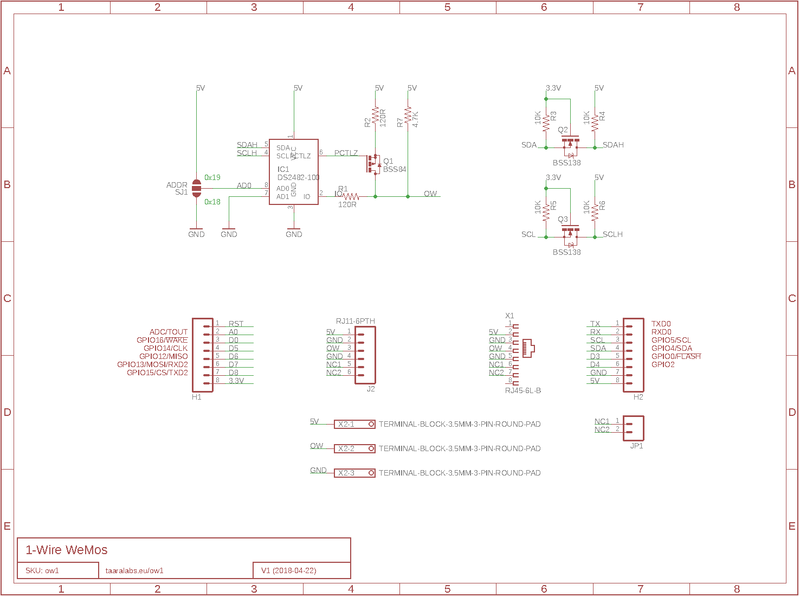 Board is designed to fit into off-the-shelve Kradex Z105 DIN enclosure. 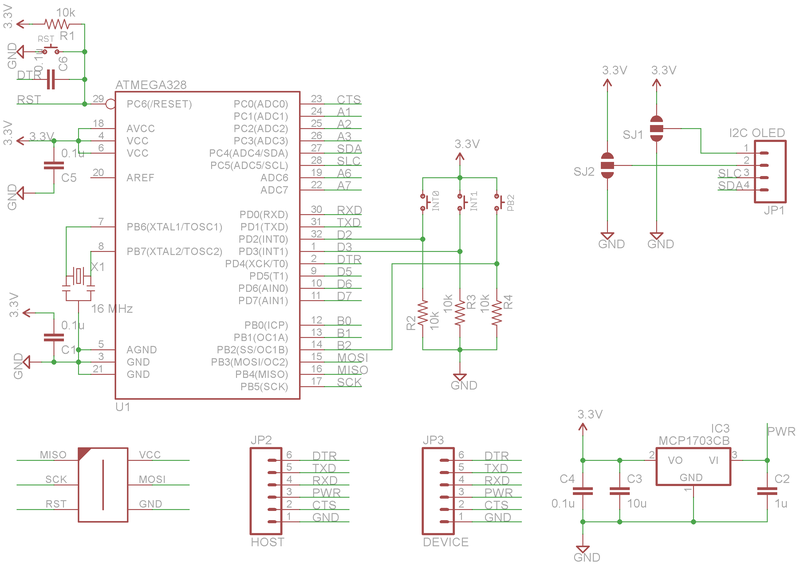 The board has an on-board 5V to 34V boost converter. 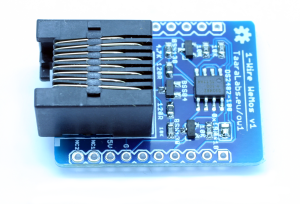 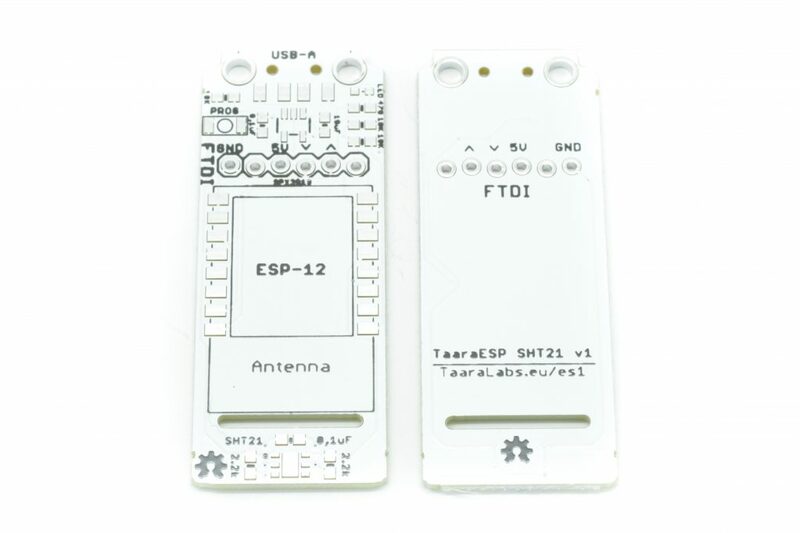 UART input has an optional low voltage drop diode for the ESP8266 microcontrollers that do not boot when the TX line is pulled down. 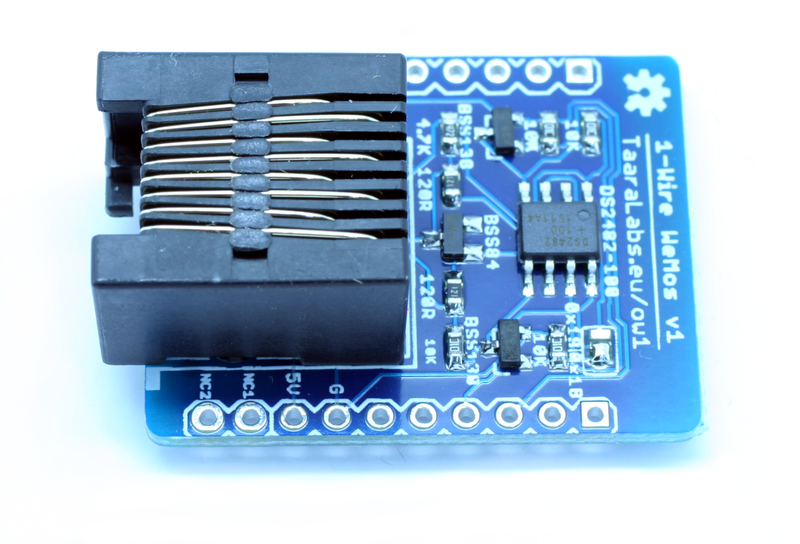 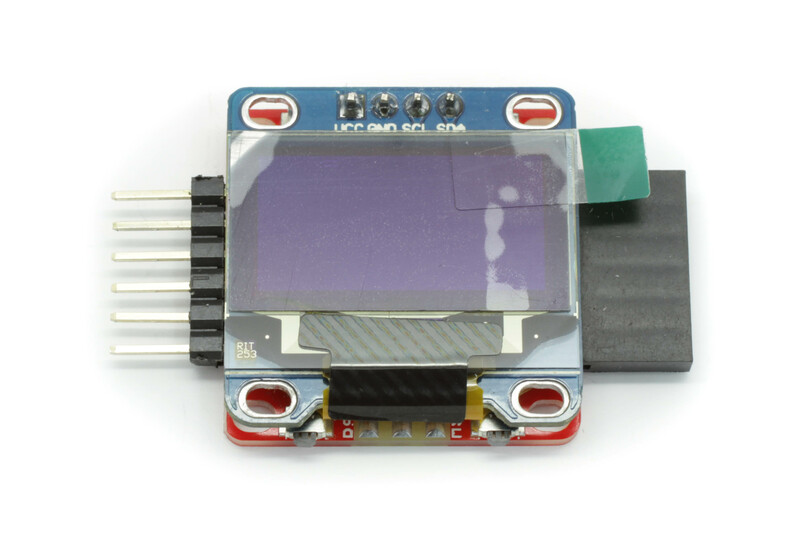 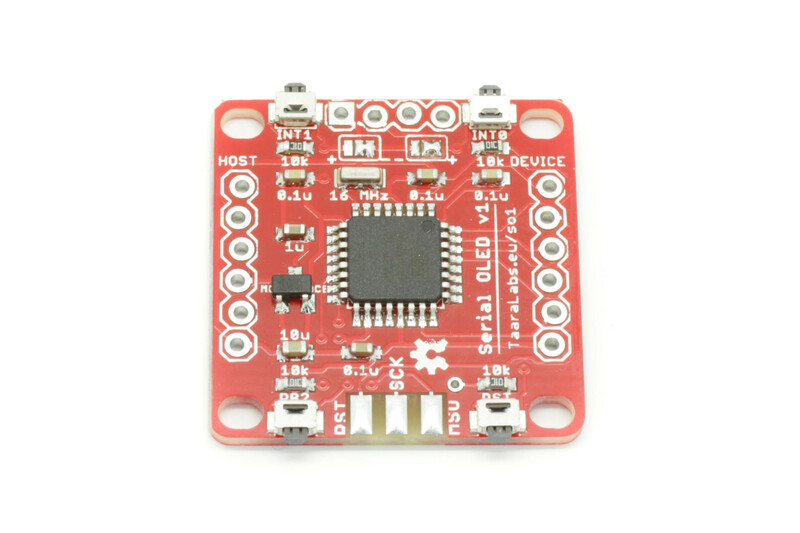 The main purpose of DS28E17 device and this board is to use i2c slave devices like sensors and low power microcontroller boards over much longer 1-Wire networks. 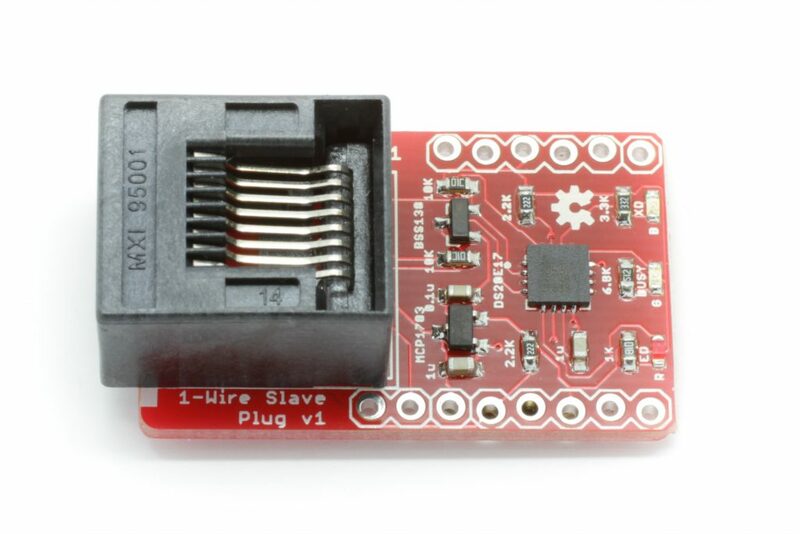 1-Wire Slave to i2c bridge Plug consists of DS28E17 chip, an on-board 3.3V LDO regulator and 5V to 3.3V level shifter for interfacing 3.3V DS28E17 device with 5V 1-Wire bus. 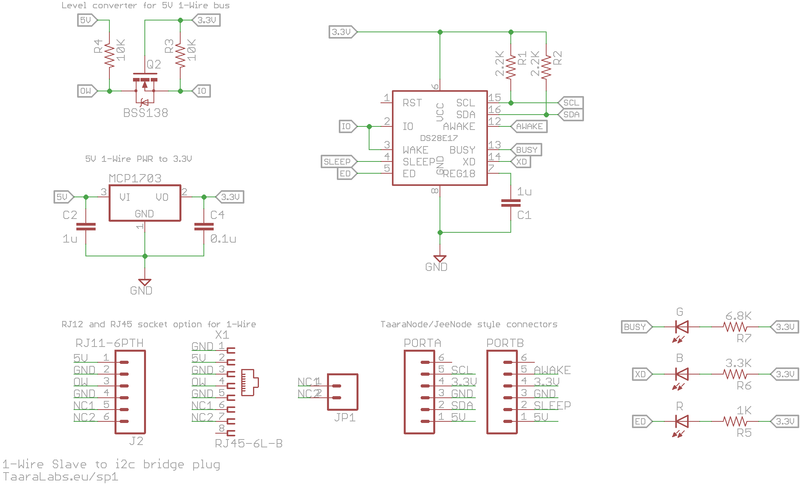 There are also three optional LED indicators for debugging. 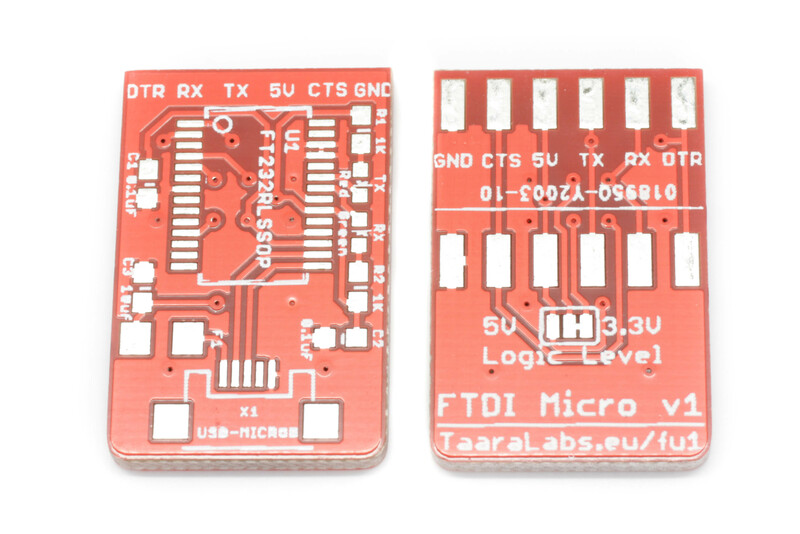 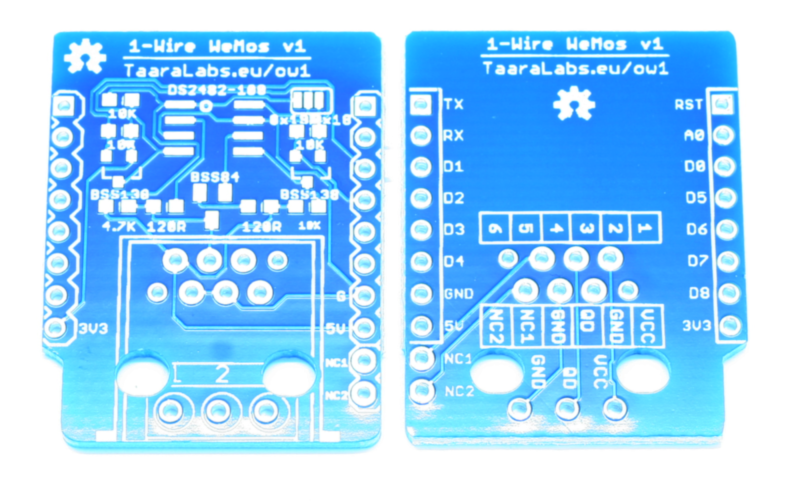 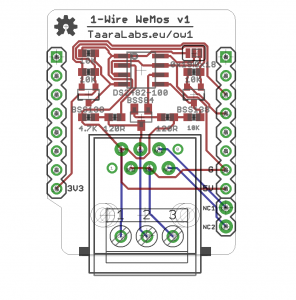 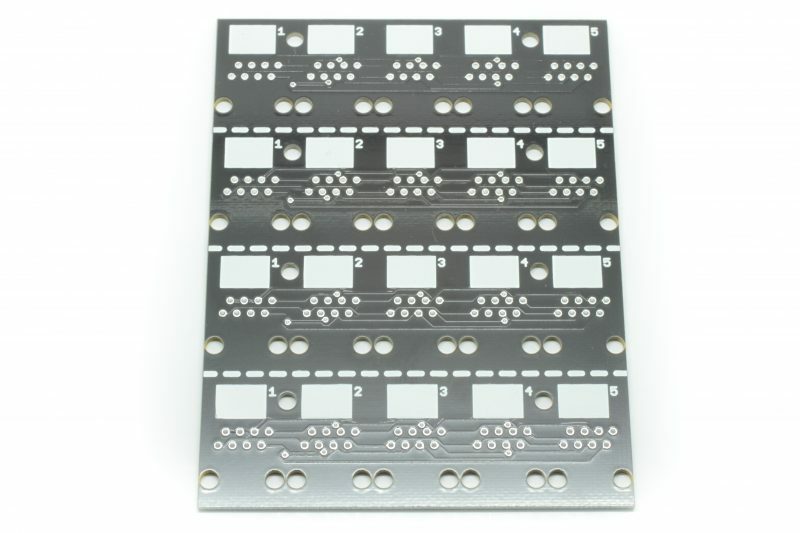 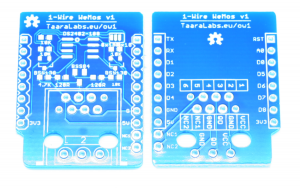 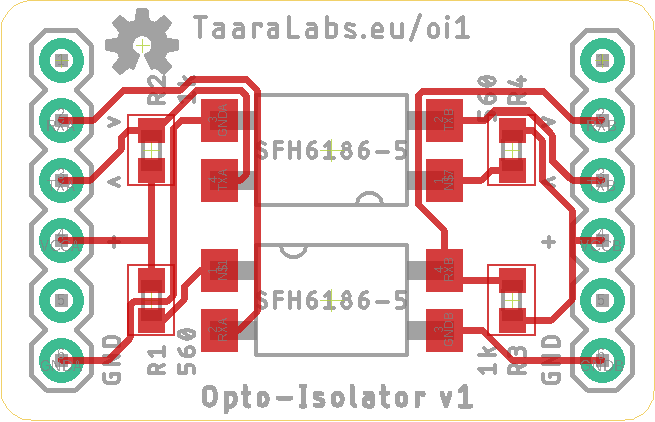 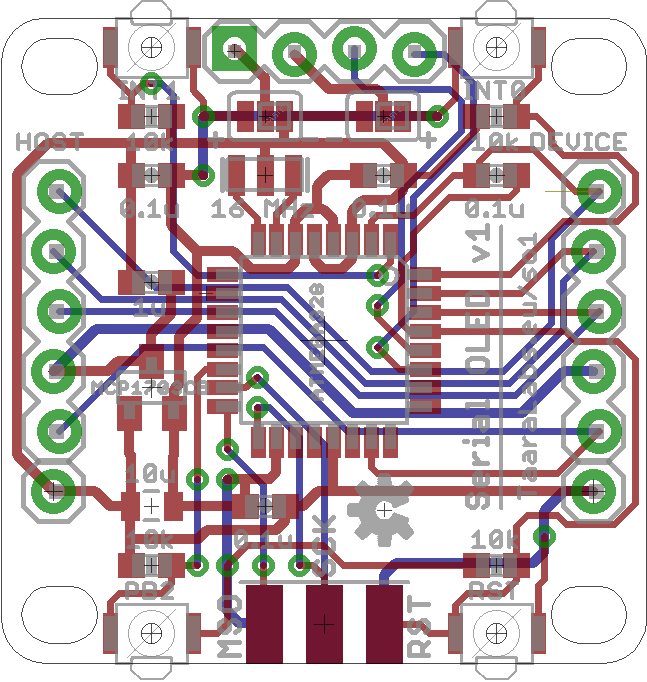 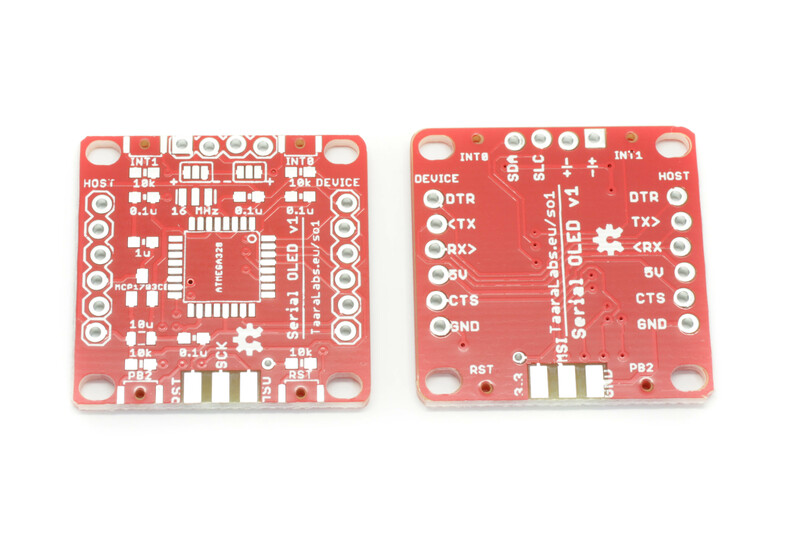 The board layout is compatible with TaaraNode and JeeNode boards but can be used with any other 3.3V low power microcontroller board or i2c device.